Welcome one, welcome all! I have some exciting news that I have created an updated and more "my style" blog on Wix. The link is http://kelseyseversosweet.wix.com/kelsey-ever-so-sweet and I hope you come check it out! Hello loves! It's me Kelsey, I'm still alive! I truly, madly, deeply want to get back into the whole blogging thing because it's such a great creative outlet for me and allows me to cook and bake as much as I want.... Jake you don't mind right? I was having my time of the month cravings last night and really just wanted something yummy and I wanted it fast. I found a recipe from Five Heart Home for a Snickerdoodle mug cake that inspired me to create my own, so thanks for that! Unfortunately my photos may not do this justice since they were taken on my iPhone but you just have to trust me on this one- I would eat it every night if I was allowed to. Even though it's made in the microwave I was shocked at how moist and cakey it came out! One important note is to make sure to use a big enough mug with straight edges for best cooking, though mine honestly did not rise very much. I hope that I can continue making deliciousness but I am starting adult real person work life soon so we shall see. At least now I will have coworkers to bring yummy gifts to! I just moved to Denver about a month ago and Jake and I are loving it. The restaurants are delicious and all over the place, there's friendly people everywhere, and the mountains and outdoor activities are awesome! I don't think we will be leaving anytime soon. Thanks to everyone who is reading- you're all wonderful! Alright to the recipe! 1. 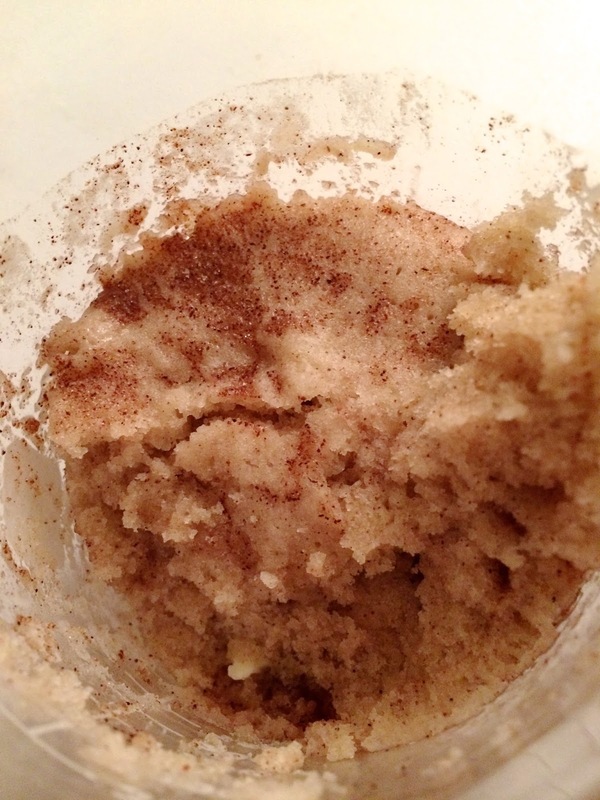 Combine flour, sugar, baking powder, cinnamon in a medium bowl. 2. Combine almond milk, butter, and vanilla in a separate medium bowl. 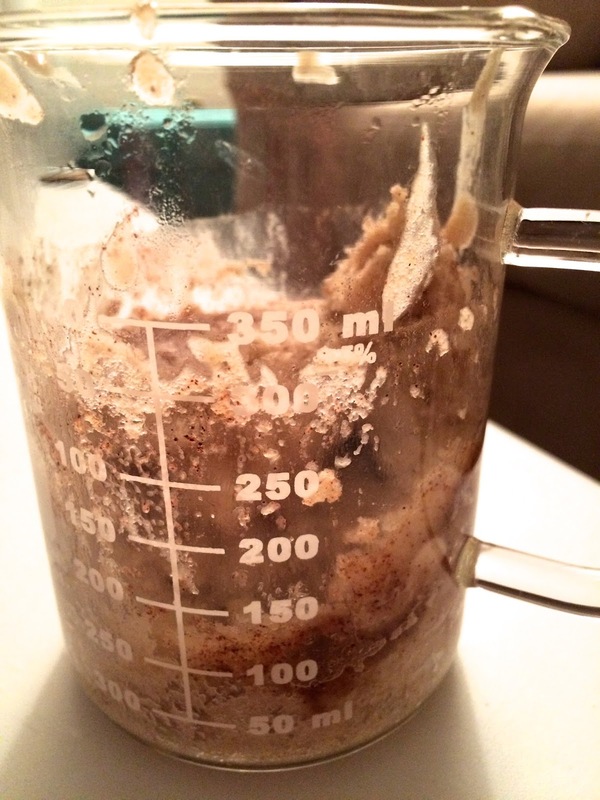 Combine dry ingredients into wet until you reach a smooth consistency. 3. Fold in white chocolate chips. 4. Pour 1/3 of batter into mug, sprinkle some cinnamon sugar and repeat layering process making sure to finish the top off with some cinnamon sugar. *For me it finished around 1 minute and 45 seconds but it depends on the strength of your appliance! Hey y'all! As promised I'm back as soon as I could be! 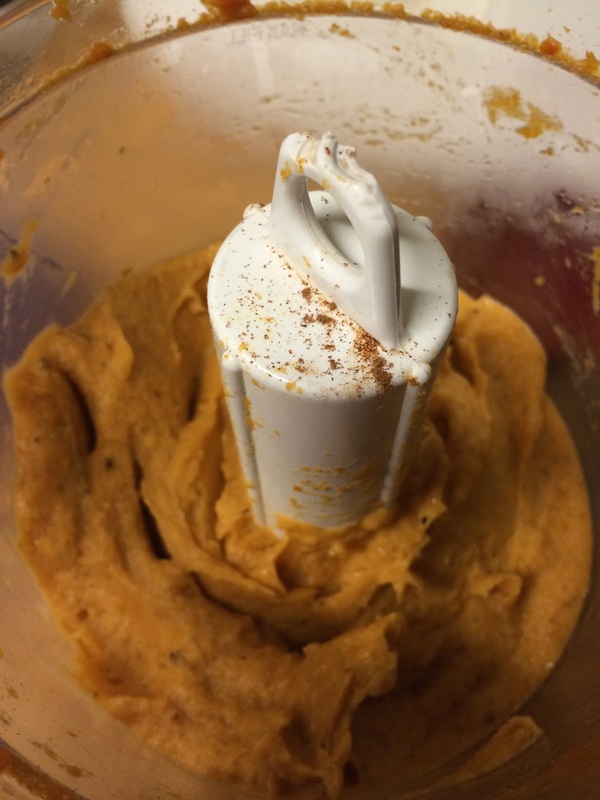 This recipe is one I came across a few months ago and wanted to wait until pumpkin season to carry out. In the last year or two I've become a lot more sensitive to dairy hence the presence of dairy free recipes. I sure do miss full fat creamy ice cream and sometimes it's worth it for the stomach ache but not always. This recipe is pretty simple and all your really need are the ingredients and a food processor, which makes things easy. 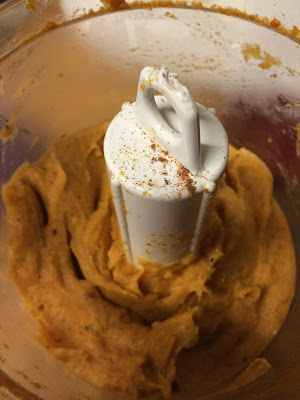 As you will see the recipe is done after you combine all the ingredients in a food processor and it is up to you if you want to eat it as soft serve right away or freeze it and bring it back out at a later date. I also have to give credit to The Gracious Pantry blog for inspiring me for this recipe! 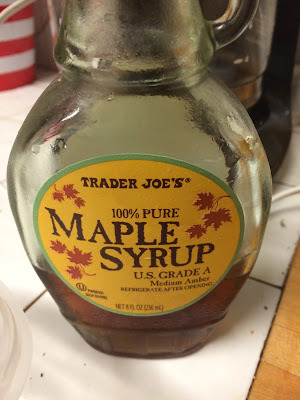 I only made half of what the recipe called for but I will provide the full amounts so your batch will be twice as big as the pictures I provide! I hope that everyone is having a wonderful October fall thus far and is looking forward to the holiday season. My pumpkin frenzy has been off the charts lately. 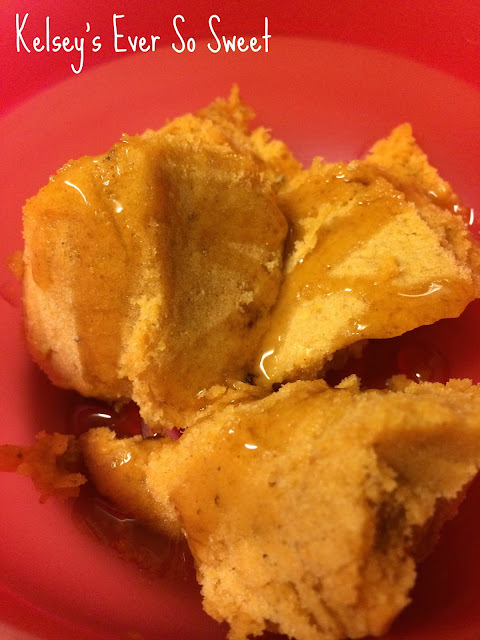 Here is the photo of the lunch I made the other day of pumpkin french toast. The bread soak was made up of just an egg, about 1/4 cup of pumpkin, a splash or vanilla, a splash of almond milk, and a few sprinkles of pumpkin spice! It was way too good. Enough about my obsessions... here's the recipe! Photo: my favorite maple syrup! 1. Chop up 4 bananas into slices and freeze in tupperware overnight. 2. 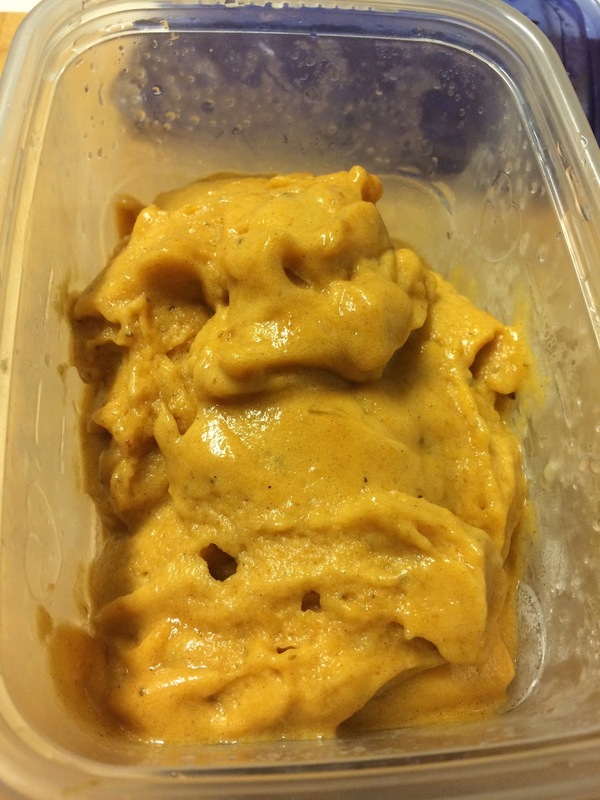 The next day combine bananas, pumpkin, maple syrup (to taste), and pumpkin spice in a food processor until uniform. This will create a frozen yogurt consistency that is delicious! 3. 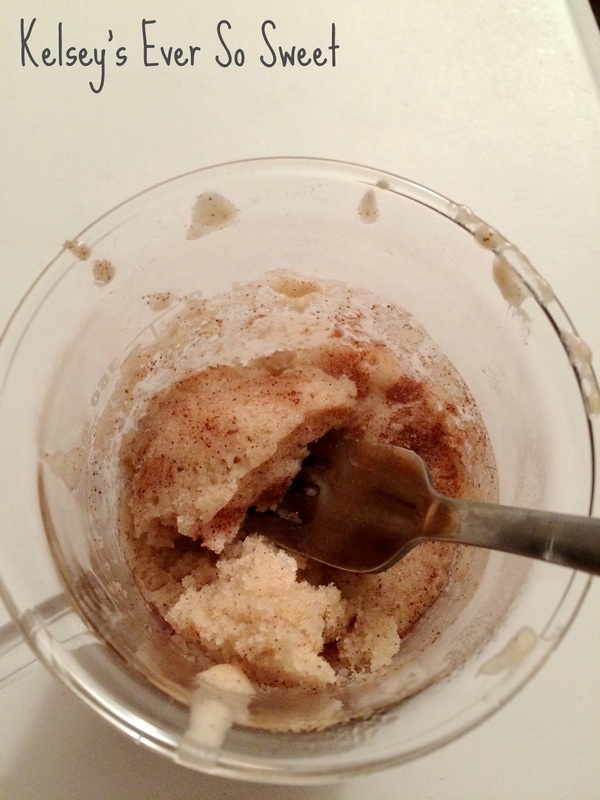 If you would like a more icy consistency (as in the first photo on the post) place in a tupperware container and place in the freezer and enjoy at a later time! Hope you try it out and happy baking! Be sure to LIKE my Facebook, "Ever So Sweet Page"!